EDITED: after believing this is a NetBeans 7.0 editor bug. It still compiles and is deployable. below is a link (there are more, but I'm limited to two links now) which leds me to believe Singleton beans can be used in the manner I'm trying to use them. "Singleton session beans offer similar functionality to stateless session beans but differ from them in that there is only one singleton session bean per application, as opposed to a pool of stateless session beans, any of which may respond to a client request. 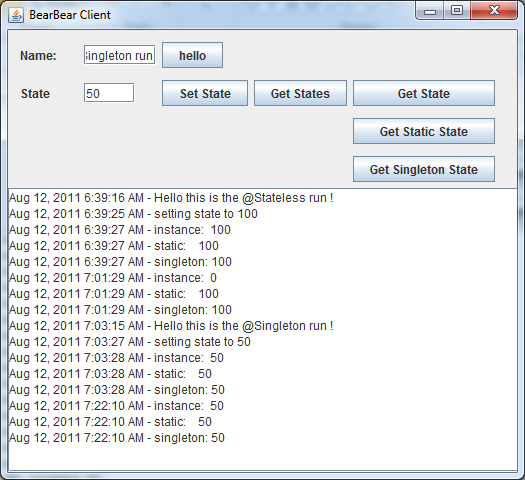 Like stateless session beans, singleton session beans can implement web service endpoints." 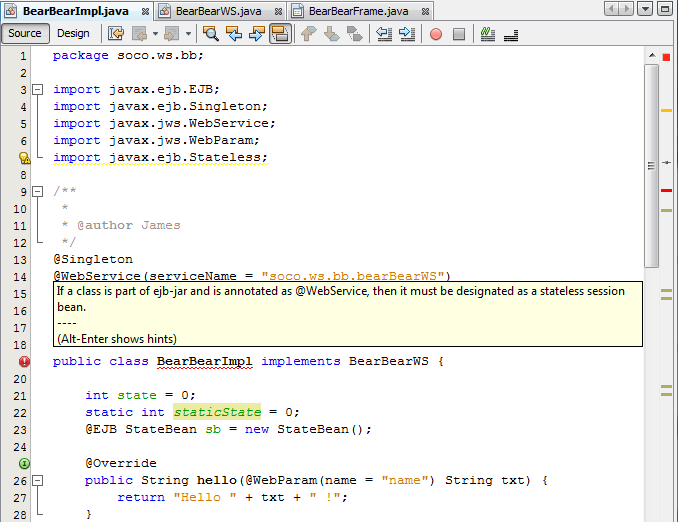 This is a bug in NetBeans 7.0 editor. I was able to build and deploy a WS using both @WebService, @Singleton even though the service name was underlined in red to indicate a compile error. Just ran a test to verify that the spec bean works as advertised. I will provide code below and snapshot of my test ui. Thanks to @home, @bkali and @Preston for contributing. Notice below the instance state does to timeout and change from 50 to 0 after the timeout period (10 minutes) when I redeploy the service as a Singleton instead of a stateless.